I love this image, as it is so beautiful and the poetry fits it perfectly. Well done! I love the skies too! That’s an awesome fractal! 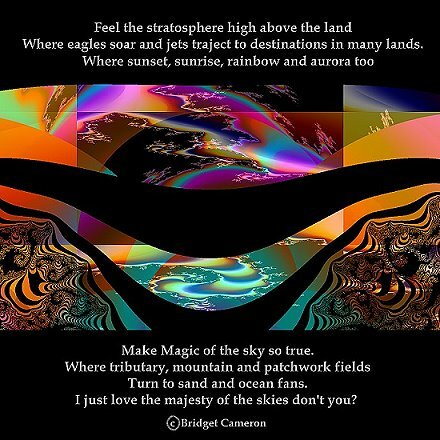 I just love the colours, The poem is very inspirational, makes me think that I’m a bird flying high above the clouds.. awesome!